Hello, my name is Shad Leeder. 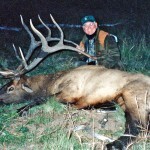 This post is number 3 of 4 in a series sharing a brief history of Leeder Hunting. 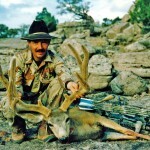 After enjoying great success through the 1980′s, the 1990′s brought more of the same for Leeder Hunting. Because of my dads hard work and effort we were now well established world wide. We continued to work hard to produce a quality guided hunt for all of our clients. 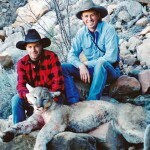 During the 1990′s elk, pronghorn antelope, and desert sheep populations were thriving and mountain lion populations were high and stable. While enjoying great success guiding hunters for elk, mountain lion, antelope, and desert sheep, we were seeing a rapid decline in Utah’s mule deer population. 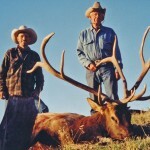 Throughout history Utah has been home to tremendous mule deer populations. 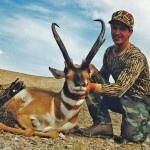 Utah’s habitat has and does produce some of the finest mule deer bucks in the world. However, since the mid 1990′s Utah’s game managers have chosen to allow fewer mule deer bucks to reach maturity each year. Since that time more and more of our time hunting mule deer has been spent in Nevada where game managers have done a much better job allowing mule deer bucks to mature. 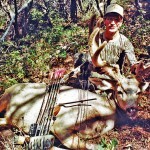 With a good management plan, Nevada consistently produces mature mule deer bucks statewide. 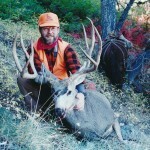 Hopefully Utah will make the necessary changes and again prove to be a leader in mule deer populations. 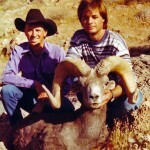 In the early 1990′s we were also spending more time in Nevada hunting mountain lion elk and sheep as well as mule deer. During this time we learned to be much more mobile. Our hunting area was growing and we were spending more and more of our time at a base camp away from our home base. Over the years we developed a very mobile base camp that allows us to move from one hunting unit to another and still be very comfortable. This also allows us to live very close to the game we are hunting resulting in a lot less travel time each day. During the late 1980′s and 1990′s we also guided a number of black bear hunters. 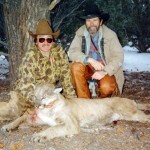 Permits to hunt black bear in Utah were available over the counter and the bear population was very good. The bear population has remained very high in Utah but the tags have gotten very hard to come by, especially for a nonresident hunter. We still enjoy bear hunting when we get the chance, but we rarely guide bear hunters anymore. 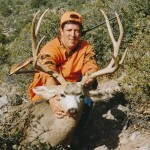 Also I began hunting whitetail deer in the early 1990′s, a hobby that I still enjoy every chance I get. 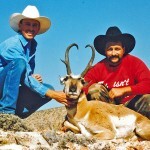 I have included some photos of our hunts from the 1990′s.